Run for farmers by farmers, Dairy Farmers of Canada is the voice of Canadian dairy farmers. 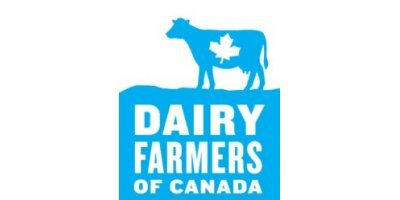 Dairy Farmers of Canada (DFC) is the national policy, lobbying and promotional organization representing Canada’s farmers living on approximately 12,000 dairy farms. DFC strives to create stable conditions for the Canadian dairy industry, today and in the future. It works to maintain policies that foster the viability of Canadian dairy farmers and promote dairy products and their health benefits. Dairy farmers fund its operations, including promotional activities. To promote and defend the interests of Canadian dairy producers at the national and international level and provide a forum for constructive discussion and consensus-building that ensures an environment for producers’ economic viability within the context of supply management. Acting as the voice of the entire community of Canadian dairy producers, DFC will foster and promote the strong and united support of producers at the grassroots level for a national system of supply management. Dairy Farmers of Canada will continue to position itself as the most comprehensive and credible source of information on political, marketing and nutrition issues affecting the Canadian dairy industry and its stakeholders and will continue to play a leadership role in moving these issues forward in the best interests of Canadian dairy producers. A dairy industry comprised of profitable, independent farm businesses operating within a dynamic system of supply management, producing and promoting safe and high quality dairy products for consumers. innovative ways to grow the market. A proud part of our heritage, Dairy Farmers of Canada has achieved many milestones since 1934. In 1934, the Canadian Dairy Farmers’ Federation was established as the voice of Canadian dairy producers. The organization was renamed Dairy Farmers of Canada in 1942, when the Federation merged with the Producers’ Section of the National Dairy Council. The mandate of DFC evolved to pursue market stability policies and ensure fairer prices for producers. More recently, in 1994, Dairy Farmers of Canada merged with the Dairy Bureau of Canada – the national organization responsible for the generic promotion of Canadian dairy products. DFC then regrouped all policy, marketing, nutrition and market research activities. To bring the organization’s activities under one common symbol, dairy producers also adopted a new corporate logo. When you buy dairy products with the 100% Canadian milk symbol, you can be sure you’re getting the superior quality Canadian dairy is famous for. And when you support your local dairy producers, you also keep your local economy strong. So look for this symbol and take pride in your dairy.